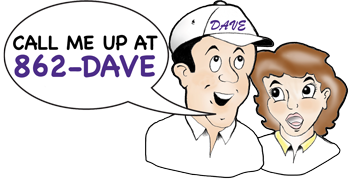 Discount Dave’s brings you top-quality carpet at deeply discounted prices. The quantity and variety of carpet at our three locations is astounding. So, why are we and our customers so excited about carpet? Carpet provides warmth and comfort. Nothing compares to the comfort that comes from the look and feel of carpet. New carpet is strong and resistant to stains. 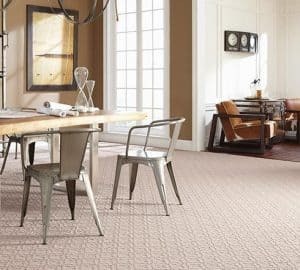 New carpeting is incredibly durable and resistant to stains and spills, so it provides a perfect balance of comfort and long-lasting durability. Plush. 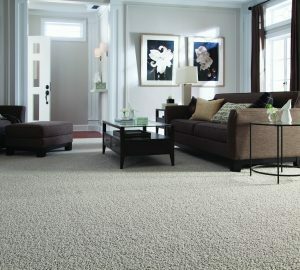 Cut short pile carpet where the fibers have an even and smooth texture giving a more formal appearance. These carpets have a tendency to show footprints and traffic marks unless it has a very low dense pile. Berber. This is a short, densely looped pile often used in residential carpeting. It’s great for high traffic areas and families without pets. Frieze. 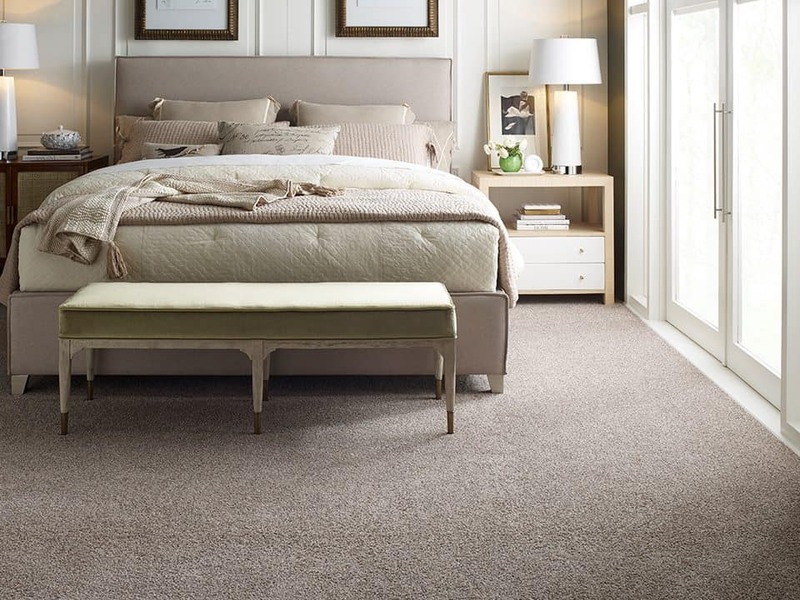 Carpet fibers in frieze carpet are twisted tightly to create a textured appearance. This tends to hide footprints, as well as track marks. Level Loop. This durable, low-maintenance carpet is short, dense looped pile carpeting that is used primarily for commercial purposes with heavy traffic. Indoor/Outdoor. This is a very minimal fiber carpet intended for areas with frequent sunlight and/or moisture. This is perfect for porches, decks, boats and damp basements. Not sure which kind of carpet is right for you? Our knowledgeable and friendly staff are ready to help you decide on the best carpet for your home or business. Dust, dirt and allergens are always looming in even the cleanest of homes. Minimize their presence in your home with Air.o Hypoallergenic Soft Flooring from Mohawk. From its surface to attached premium cushion, Air.o won’t absorb any moisture – helping prevent the growth of allergens. Air.o is the first and only soft flooring product on the market with no latex or harmful VOCs, thanks to the advanced polymers used in it’s construction. For families who do it all, SmartStrand carpet has it all. 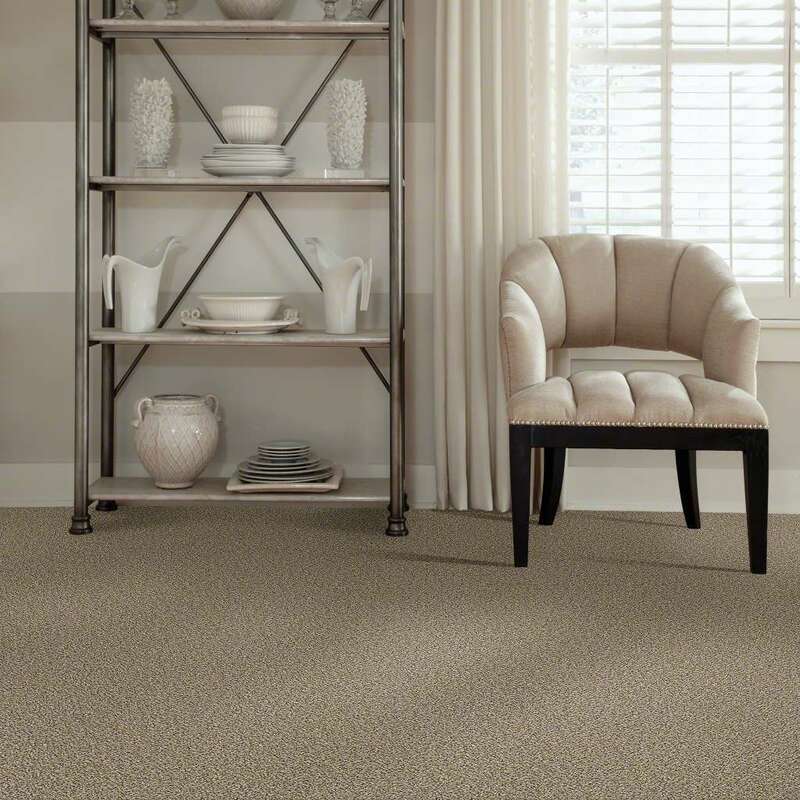 Permanent stain resistance, advanced spill protection, maximum durability, and superior softness make SmartStrand the only carpet made for extraordinary living.